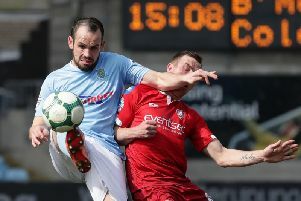 Ballymena United manager David Jeffrey was pleased with his side's 3-0 win over Newry City in the Danske Bank Premiership on Saturday. Goals from Leory Millar, Cathar Friel and Andy McGroty sealed the win for the Sky Blues. It was United first game at home this season after the pitch was relaid and Jeffrey believes a great job has been done on the surface.